Explore the Real Relaxation Feel with Traditional Thai Spa. Spa is a Traditional Thai Spa behide in the paradise island as who one know is Phuket Island the Perl of Andaman. Our Spa located on surrounding of the tropical garden atmosphere is one of tranquility from the moment you arrive in Phuket. We provided the wide space and large traditional Thai spa treatment room with the contemporary styling to suite Phuket tropical environment with full functional of spa facilities as Jucuzzi Baht, Herbal Steam Room, Spa Pool, and Relaxation Area. A comprehensive menu of spa treatments is available for private individuals and groups. 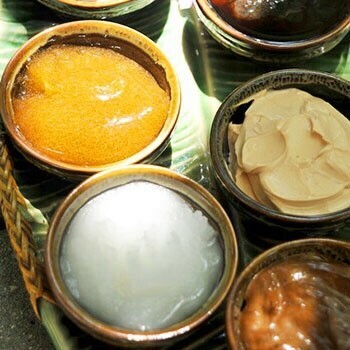 Treatments include traditional Thai massage, facials, body massage and body treatments including scrubs and wraps. A range of spa packages are designed to relax, realign and reenergize. Our professional therapists will welcome you into Island Herb Spa like you are one of the families. Friendly and amiable, they will ensure your time here is one you will never forget. Refresh your mind, uplift your spirit as well as nurture your body.